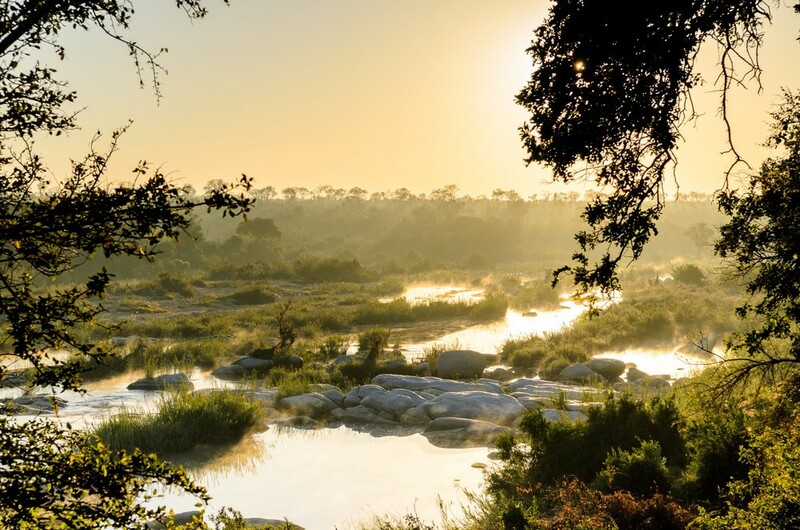 Singita Boulders Lodge is set in the exclusive Sabi Sand Private Game Reserve on the banks of the Sand River within the greater Kruger National Park. 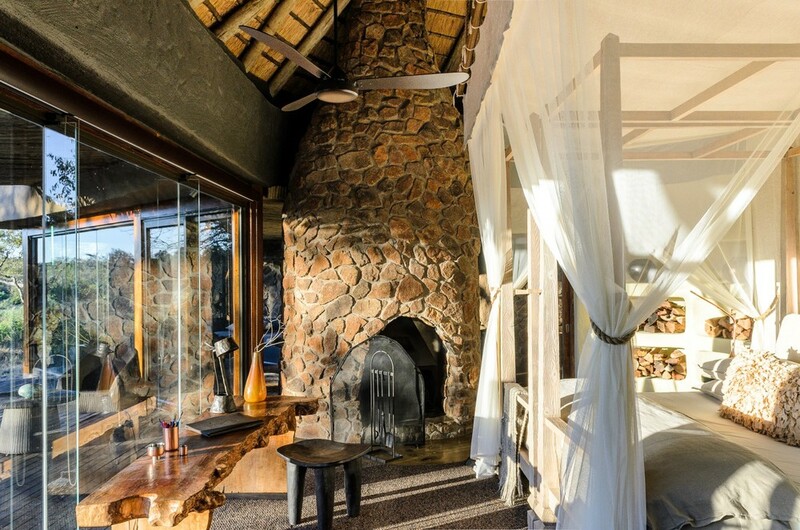 Singita Boulders Lodge has 12 luxurious suites all equipped with a beautiful bathroom and an indoor and outdoor shower. Each suite has a private swimming pool, double-sided fireplace, minibar and fridge, room mini safe, air conditioning, overhead fans, private lounge, direct dial telephones and game-viewing deck. The lodge is built around a mighty rock which tells a tale – when Singita’s creators found the area, it was perfect save for the enormous boulder where they planned to build the wine cellar. It was hundreds of tonnes, and far too big to shift, so they came up with a solution – simply build around the rock! Hence the name stuck, and guests can see the famous boulder for themselves. Guest areas are expansive and close to the river, allowing full engagement with the magnificent setting beneath the ebony and weeping boer bean trees.